Compost supplementation has been extensively used in the mushroom industry since the ground breaking work of Sinden et al in the 1960’s. These early researchers realized that protein was an important nutrient for the mushroom metabolism. However, it was quickly established that the addition of protein to the compost caused an explosion of bacterial activity which usually resulted in toxic levels of ammonia. Sinden also realized that the protein could be protected from this bacterial attack by the process of cross-linking with formaldehyde. The commercial process consisted of reacting the raw protein (Soya or feather) with formaldehyde. This process allowed protein to be utilised throughout the industry. It was known for many years prior to Sinden that the mushroom metabolism requires carbohydrates and lipids etc. in addition to protein. Formaldehyde does not react with, and so protect these other essential nutrients. Research by Parker† in the 1980s revealed that the carboxylic acid salts were mushroom nutrients and also acted on all other mushroom metabolic requirements to make them safe from bacterial and mould attack in the compost. This discovery allowed for the first time the use of supplements containing the ideal balance for mushroom growth containing – protein, carbohydrates, lipids and celluloses. Nutrigain produces this multi-nutrient supplement granule for the compost originally known to many as Natural Gold and is now called Organic Gold which is certified organic. Heat production is 40% less than regular soya supplements making it much easier to manage and control compost temperatures. It means also that progressive growers can push the envelope in terms of application rates with much less chance of overheating. 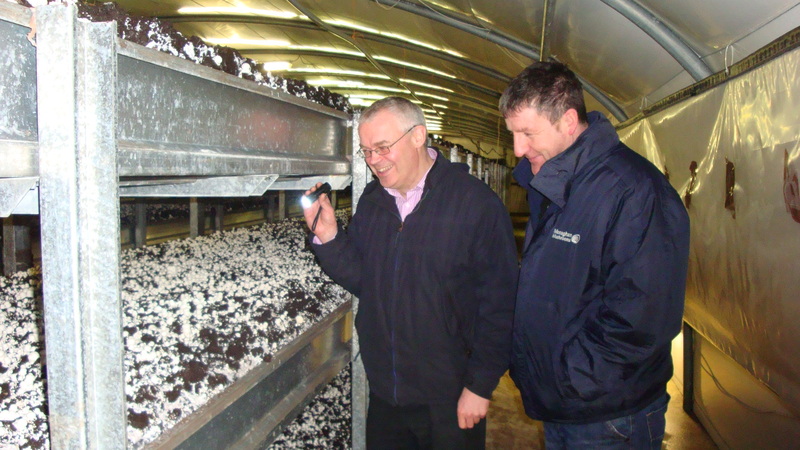 Nutrigain owners Frank Parker (†) and Stuart Whitehall have spent 15 to 20 years in researching what the mushroom feeds on and how to make the process more efficient and safer which has led to the first of a new generation of compost supplements in a LIQUID form. Why a liquid feeder for the compost? With the big speed up cycles in the last 10-15 years, there is much less time than there used to be for the mycelium to extract the nutrition from the compost and/or supplement. Mycelial feeding occurs under specific environmental conditions especially temperature and the time periods are often too short to be fully effective with dry granular nutrient sources. At Nutrigain we have developed a liquid feeder called MycroFeeder that is applied to the compost top. The nutrition source is much more easily available to the mycelium than the compost and existing supplement sources. We experience higher yields and much heavier mushrooms (higher dry matter content) during 2nd and 3rd flushes, especially in the later days of picking when we use MycroFeeder. It can be used on its own or with existing supplements to boost yield and quality further. There is little or no temperature increase in the compost when using MycroFeeder. The development of this concept dates back to the work we did in the 1990’s which demonstrated the improvement in quality, yield and mould resistance in mushrooms grown with carboxylic salts used to stabilise mixed nutrients. An intensive Research & Development program since then has revealed that the beneficial effects of carboxylic salts may be very much enhanced and magnified using very small doses of these confined within the casing layer. We were amazed by the improvements in pinning, quality, piece weight, yield and lower incidence of mould infection. Because the nutrient is confined within the casing layer, phase 2 supplementation becomes a practical proposition. Also in Phase 3 growing it can boost production and quality further by using in addition to existing supplements like soya and Organic Gold or on its own where temperature control is limiting. There is little or no bed heating when MycroLiquid is added to the casing. 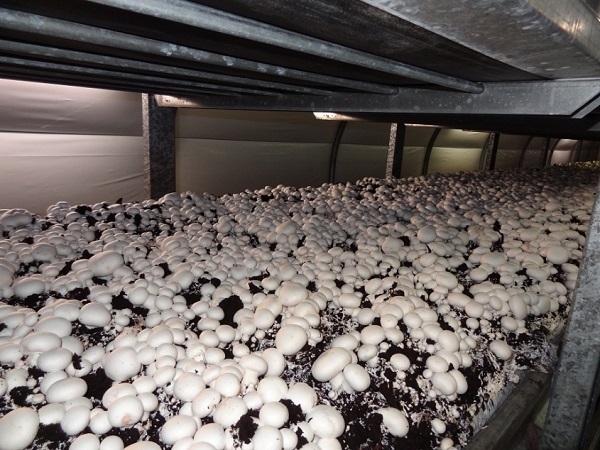 One of the most important aspects of casing supplementation is that it gives nutrition at the point where the mushrooms are growing and stimulates pins which means greater potential can be derived from the compost whilst maintaining good quality. The original MycroLiquid comes in a concentrated form, which is diluted and ideally premixed into the casing prior to application or sprayed on the casing during case run. How can I prolong the effect of disinfection? Nutrigain has also developed and manufactures a natural, safe disinfectant specifically for the mushroom grower under the brand name Sporekill or Nutriclean depending on market location. This product has been on the market for over 10 years and is a safe alternative to aldehydes, phenols and quats. It is safe both to the user and the environment and with its unique 3 point action is very effective for controlling mushroom diseases. It is used for terminating crop, shelves, walls, machinery, footdips and is particularly effective on floors where steam has its limitations. Sporekill gives a residual protection by its sealing effect, which continues to improve with regular use. For more information please look around our website. We have a blog which contains lots of interesting articles, pictures and technical papers to back up its efficacy. Please contact us if you have any questions. 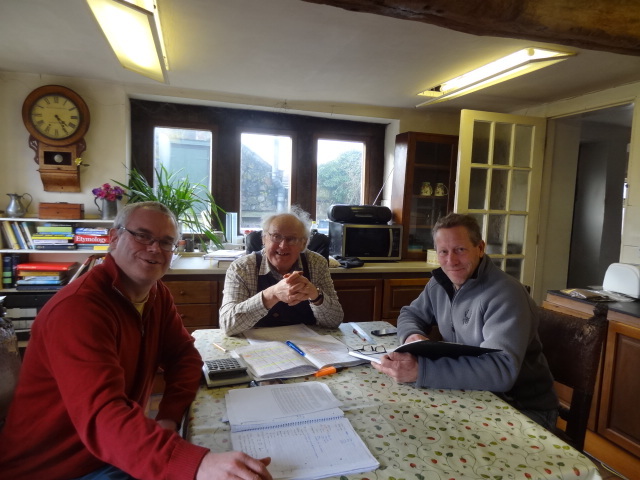 …We want to help you to get the MOST out of your crops and improve your bottom line!